A handful of experiments have tried optical excitation of the isomer already, unfortunately without success. All of these experiments searched for delayed fluorescence in the optical domain as the smoking gun of an excitation of the isomer. The main obstancle in these experiments can be summarized as follows: The transition linewidth is teeny-weeny small, probably about 0.001 Hz, but the linewidth of excitation sources is very broad, about 100,000,000,000,000 Hz. So it’s very unlikely to excite the nucleus. The small excitation probability can be offset by using many many nuclei, say 10^15 nuclei. Such large numbers of atoms need to be cast into some solid form, either as a metal, a dopant into a some sort of host material, or a layer attached to some underlying material. But once the isomer is confined in a solid, it tends to undergo internal conversion: it will de-excite by emitting an electron rather than a photon. This process might explain why previous experiments, which searched for an optical signal, were not successful. Now, Lars von der Wense (LMU Munich group) proposes to use the best of two worlds: optical excitation via lasers, detection via electrons. There do exist pulsed lasers with sufficiently small linewidth and sufficiently large power to make this approach feasible. In addition, the detection of the isomer via spectroscopy of the IC electron is also well established in Munich: there shall be nothing in the way of this experiment. This proposal has now been accepted by Phys. Rev. Lett. (find the abstract here) and will be published within the next couple of weeks; the arXiv version can be found here. The list of co-authors includes researchers from 4 out of the 8 nuClock partners: Half the consortium was involved in this proposal. Congratulations to Lars and the team! 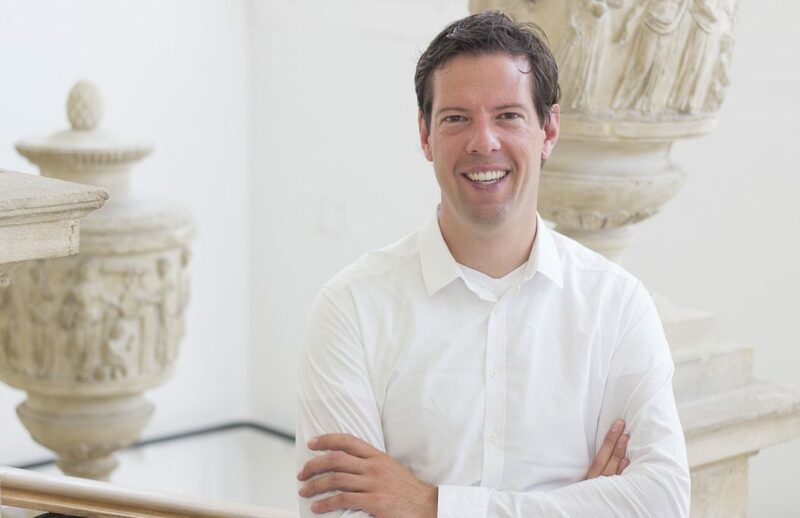 Simon Stellmer, nuClock researcher on the Vienna team, has received an ERC Starting Grant. The title of his project reads “Ultracold mercury for a measurement of the EDM”. Within this project, he will address one of the most fundamental questions in all of physics: Why does the Universe contain matter? Shortly after the Big Bang, many billion years ago, equal amounts of matter and antimatter were formed. These two types of matter, however, destroy themselves when they come into contact. This process is called annihilation, and naively, one would conclude that matter and antimatter annihilated completely some time after the Big Bang. Quite obviously, this conclusion is at odds with observations. So there must be a fundamental asymmetry between matter and antimatter: an underlying mechanism that favors matter over antimatter. This mechanism ensured that, as matter and antimatter annihilated, a small excess portion of matter survived: this is the matter that forms our Universe today. The details of this mechanism, however, are still a mystery. The asymmetry between matter and antimatter is connected to a phenomenon called CP-violation, which, in short, states that going backwards in time is not the same as going forward in time. This phenomenon shows up as a tiny tiny ellipticity of fundamental particles (electrons, neutrons and the like): the charge distribution of these particles is not perfectly spherical, but a little deformed. This deformation can be measured in high-precision measurements. A number of such experiments were carried out already, but none of them was sensitive enough to detect these small deformations. Dr. Stellmer aims to improve the sensitivity of these experiments by taking them into the quantum world: previous experiments were performed with room-temperature gases of mercury atoms. He will now cool these gases to temperatures one millionth of a degree above absolute zero: this is where quantum phenomena emerge, which Dr. Stellmer seeks to exploit for improving the measurement performance. ERC Grants are among the most prestigious prizes awarded to researchers in Europe. The project will be funded with 2 M€ by the European Union. Dr. Stellmer received a prestigious ERC grant. The press release is available in here. Sitting in your deck chair with nothing to read? We have a solution for you! A few weeks ago, Francisco Ponce of Lawrence Livermore / UC Davis finished his PhD thesis on the topic “High Accuracy Measurement of the Nuclear Decay of U-235m and Search for the Nuclear Decay of Th-229m”. In his studies, he searched for the IC electron in the de-excitation of the Th isomer, but was not sensitive to timescales in the µs range. Although eventually not successful, the PhD thesis still makes a nice reading. The thesis can be found here. And while we’re at it, we would like to draw your attention to another study from Jason Burke’s LLNL group, which looked into the distribution of charge states of the Th-229 recoils following the alpha decay of U-233: this work can be found here. Yudai Shigekawa, a PhD student from Osaka, spent a year with the Vienna group. Today, almost exactly one year after his arrival, he disassembled the experimental set-up again, ready to be shipped back to his home university. Yudai constructed an experiment to investigate the decay of U-233 into Th-229. The U-233 sample was sandwiched in between an alpha detector (for measuring alpha particles with high energy and time resolution) and an MCP (to perform spectroscopy on low-energy electrons). The experiment used coincidences between alpha particles and IC electrons to search for the IC decay channel of the Th-229 isomer, and to measure the isomer energy. 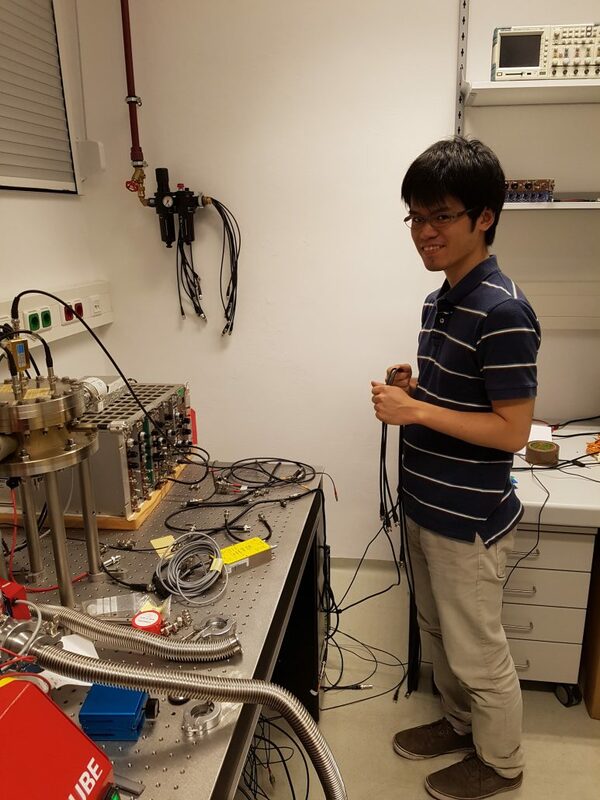 Over the course of the year, Yudai brought a lot of knowledge into the group, especially with regards to alpha- and electron measurements, and in the preparation of samples. His research stay also included visits to nuClock partners in Munich and nuClock associates at GSI. Yudai, thanks a lot for staying with us! Yudai Shigekawa concludes his research stay in Vienna by disassembling his experiment, ready to be shipped back to Japan.